What is a SAC Air Police Camper alert team? Is the word "Camper" a description for a special, or secret air police team? Technology was not infallible and when it broke men had to fill the breach. At SAC Minuteman bases, these breaches were filled by Camper Alert Teams or CATs. SAC’s Minuteman missile wings were concentrated at six bases with each wing controlling 150 to 200 ICBMs located at remote launch facilities sometimes as far as 160 miles from the base. Each of these launch facilities was protected by electronic sensors and physical barriers and when the sensors failed, a two-man Security Police CAT was dispatched from the base to the site to provide security until the sensors could be repaired. So, it's basically a real version of the "EM-50" from the movie Stripes? Nope, just a base model 1960's camper on the back of a beat up USAF pick-up. Nope, SAC had a problem that needed a fix right now. The quickest fix was to order a dozen off-the-shelf campers from an RV manufacturer. The Air Force on July 14 released its final request for proposals to replace the UH-1N fleet that patrols the service’s nuclear missile fields. The proposal calls for responses by Aug. 28, with a contract award expected in spring 2018. The service is looking for an initial operating capability as early as 2020. The Air Force has repeatedly released draft RFPs, as recently as April, after industry told the Air Force it could not meet requirements with an “off the shelf” solution. The Air Force wants to buy 84 helicopters, with the bulk of the fleet providing security for Air Force Global Strike Command, though they also will be used for transporting VIPs. So, if you're interested in bidding against the "usual suspects", there you go. What's wrong with a 45+ year old platform? I worked on them during my first enlistment. Maybe they should just get Bell to do another run of AH-1Ys UH-1Ys. They seem to be doing well for the Marines. Because the platform is used to transport people, not just munitions. Its a VIP transport as well. The Air Force has launched a $4.1 billion program to replace 62 decades-old UH-1N Huey helicopter to guard intercontinental nuclear missile bases on the Great Plains and transport high-level officials in “continuity of government” operations. I fixed it. The upgraded Huey is the "Yankee". The upgraded Cobra is the "Zulu". Here I am thinking the word "camper" means something like " combined alert military police emergency response". I did not know it is the EM-50 project! Is the EM-50 still in service? No Camper as in you two are camping here at this missile silo until the security system is back up! Space Command still gets the money. Equipment has gotten nicer. The missles were moved to Global Strike Command, it gets the money. Personally they never should have done away with SAC... Then the issues that cropped up over the last 10 Years wouldn't have happened. That pic from Eclipse brings memories. 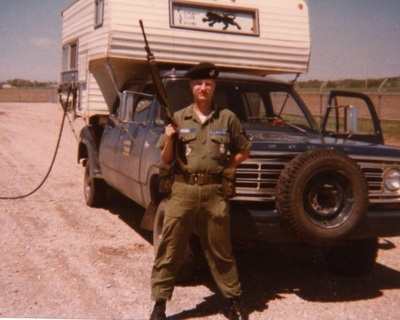 I drove a surplus USAF, 1975 Dodge CAP COV six pack just like that USAF one (without camper top, blue beanie, or rifle) in FLWG for some time in the 80s/early 90s. 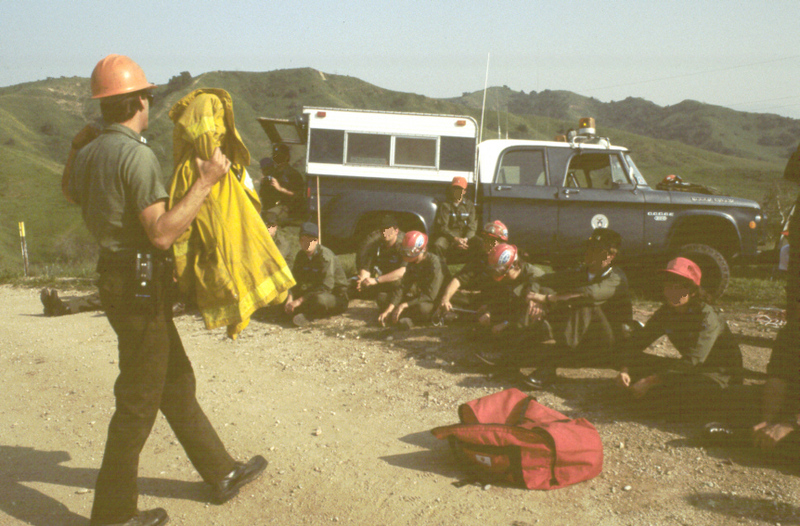 It was an awesome GSAR platform. Bullet proof powertrain, plenty of power, lift kit and big knobbies that we'd air down when we went off pavement, etc. Carried a full kit of gear in the back and a full six guys up front. Dual alternators, plenty of power for radios. Yet, we did lose the peripherals gradually, and had to adapt/improvise/overcome. On one actual mission (missing C-152 student pilot out of Lantana c.1991, LTC W. Roshaven as MC) the wipers failed in rain. We tied a boot lace to each wiper and the two front seat cadets coordinated pulling the wipers left and right through the window vents, as I drove slowly and carefully - worked great. Pulled the wiper and replaced for the next days sortie, boom. Having spent many a night in that vehicle, I gotta smile... not a bad night in all of them. Good times. Helped a lot of people in bad storms/incidents. Lotta late night and en route mentoring and growing up (at those CAP-safe 54 mph highway speeds, you had a LOT of time on hand)!